How to Make Money ($100 Weekly) from Home with Amazon Turk? 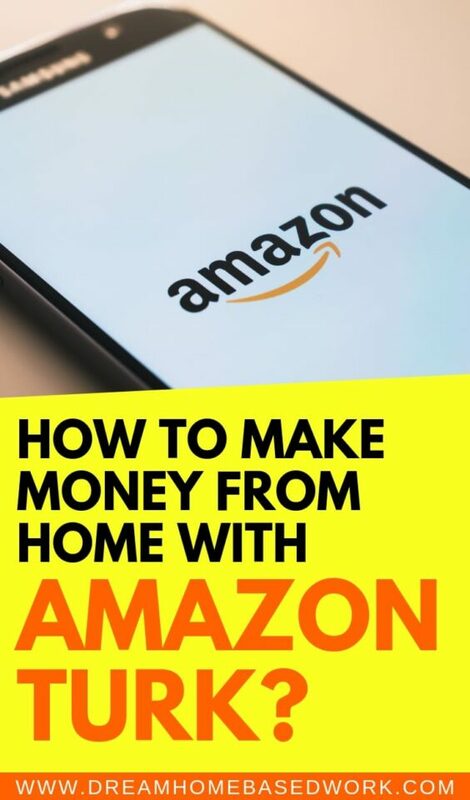 Home » Latest from the Blog » Make Money Online » How to Make Money ($25 Weekly) from Home with Amazon Turk? Are you interested in making money online every day? If you have been looking for legit ways to make money from home, then you can earn some extra money in your spare time by completing simple tasks with Amazon Mechanical Turk (MTurk) website. Hundreds of thousands of Americans and other people across the world are making money by completing a variety of small online tasks on the Amazon Turk marketplace. In this article, I am sharing how you can also make money from home by completing small tasks on this marketplace using the skills you already have and working on your own schedule. Amazon MTurk is based on the idea that there are still certain things that human beings can do much more effectively than computers. Hiring a large temporary workforce to complete tasks like identifying objects in a photo or video, capturing data, filling out surveys, transcribing audio recordings, and more tasks like these can be time-consuming, expensive, and difficult to scale. That is where Amazon Turk comes in. 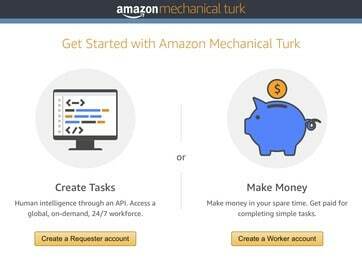 Amazon Mechanical Turk (MTurk) is a crowdsourcing marketplace that connects individuals and businesses (known as Requesters) with a scalable workforce (Known as Workers). Requesters post jobs known as HITs (Human Intelligence Tasks) that require human intelligence to complete, which on-demand Workers can browse and complete to make money. MTurk is a flexible remote and 100% online job opportunity for anyone who is at least 18-year-old and has a computing device connected to the Internet. How Does Amazon Turk Work? Requesters post Human Intelligence Tasks (HITs) to the website, which Workers can search to work on, complete work and submit their work for approval to the Requesters. If the Requester approves the work, the Worker gets paid. Many of the Human Intelligence Tasks do not require special skills. There are thousands of HITs available to complete at any given moment. The amount of time required to complete a HIT varies greatly. Once you create a Worker account, sign in to search HITs available on the MTurk platform. You can also search for tasks based on by keyword, reward amount, or qualifications required. Next, you simply accept a HIT that interests you, and complete work, following the instructions. You then submit your work and get paid if the Requester approves your work. When you search for tasks on the platform, you can see what a task pays in the “Reward” field. Many HITs tell you how long you have to finish the task in the “Time Allotted” field. If you cannot complete a Human Intelligence Task within the allotted time, it is made available on the platform for other Workers to accept and work on. What Kind of Work Can I Do Using Amazon Mechanical Turk? Common tasks that you can find on the MTurk marketplace can include identifying objects in an image or video, tagging objects found in an image, audit user-uploaded images or videos, removing duplicate content from business listings, identifying duplicate product listings in a catalog, answering questions/taking surveys, finding specific data elements in legal and government documents, transcribing audio recordings, writing content for websites, translating content or documents, and much more. Requesters can post any task that can be completed by human beings using a computing device with access to the Internet. How Much Does a HIT on Amazon Turk Pay? The amount each task or HIT pays varies greatly, depending on the Requester and the HIT. Different Requesters pay different rates, so the amount you can earn for completing a task that is approved by the Requester can vary greatly. You can earn as little as 1 cent for a task that is approved by the Requester. A Requester can also choose to pay a bonus to a Worker in addition to the set amount of payment for completing a HIT. Bonuses are usually paid to Workers who do particularly good work. How much money you can really make on MTurk depends on how much time you put into it, your skills, pay rate per task, and approval rate of HITs you have submitted. However, Amazon Mechanical Turk will not make you rich, but it is possible to earn a side income every month. If you can work quickly on tasks that interest you to complete, you can make more money in the least amount of time. You may find HITs that pay $0.15 each but only take about 15 seconds to complete. If you could complete as many of these HITs as possible, your earnings could add up quickly over time. The more tasks you complete, the more money you make. It is as simple as that. Many Requesters require you to complete a specific number of tasks before they give you the opportunity to work on their HITs. If you successfully complete 100, 500, 1000 HITs, or more, you may be able to accept higher-paying HITs. Being on the site at the right time when plenty of tasks are available is important to increase your earnings. It is possible to earn more than $100 a week as many people are making more than $500 a month on the Amazon Turk website. But if you have a busy life, even earning $20 per week sounds pretty nice extra cash that can really add up. Also check out: 25 Simple Ways To Make Money Online, Possibly Today! How Do I Get Paid for the Tasks That I Complete on the MTurk Platform? When you complete a task and the Requester approves it, Amazon Mechanical Turk transfers funds for the task to your Mturk account. You can then transfer your earnings to your Amazon Payments Account or to a Amazon.com gift card. You can disburse your earnings to your bank account from your Amazon Payments Account. Workers outside the United States can transfer their earnings to an Amazon.com gift card, or/and to a bank account, depending on their country. Workers are limited to one transfer per calendar day. If you are a New Worker, your money is held until you have been active on Amazon Mechanical Turk for at least 10 days, starting from the day you submitted your first task or HIT. It is a flexible opportunity as you can work all day or whenever it is convenient for you. 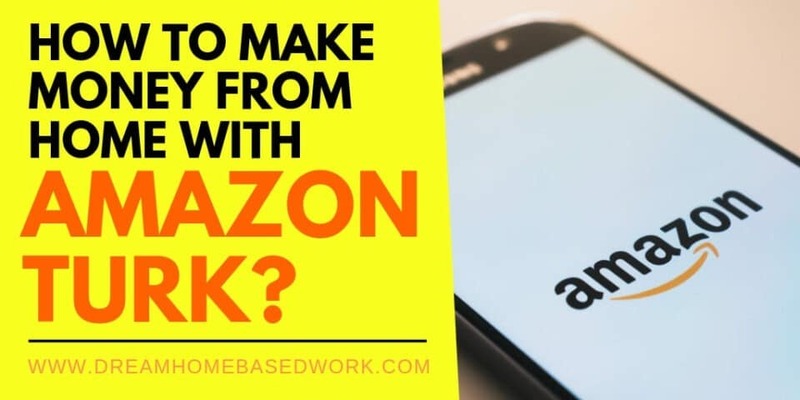 Amazon Turk is a great work from home opportunity for anyone looking for ways to earn some extra cash in their spare time. If you are at least 18-year-old, you can sign up here as a Worker on the Amazon MTurk platform to start making money today.